I’ve only had one job with an official uniform. Whenever I wore it, I knew I was representing the company. People would see me doing my job and they would see the whole company. If I left a positive impression, the company benefitted. If I didn’t, it didn’t. Preacher, you represent God. And I’m not primarily concerned about what clothes you wear. I am referring to what demeanour you wear, what character you wear, etc. Since this post is just sent out into the ether, can I be blunt? Some preachers seem to not know the God that I know through His Word. At least, if they do know Him, it doesn’t show. Hang on, let’s stay blunt – it should show. Some preachers minister to a church just by being there. Somehow their interactions are genuinely caring, their demeanour reflects a God who is relational, their manner reflects a gospel that is good news, their lives reflect a relationship with a God who changes us from the inside out. Others don’t. I think it is vitally important to communicate the meaning of a text as accurately as possible. But I know that communication includes more than the words used to explain the passage. Communication includes demeanour, smile, manner, personality, body language and vocal tone. When Jesus spoke, broken and sinful and needy people were drawn to him. When Jesus spoke, only the hyper-religious seemed to get upset. When some of us speak, it seems like only the hyper-religious can connect. Surely this ought not to be? Take for example, how moody God is. I hope you’re thinking He’s not moody. But some people preach as if He were – sometimes He is in a loving mood, sometimes He’s in an angry mood. Surely if we read the Bible carefully we’ll see that God is love, which can help explain some of the tougher sections. He isn’t wrath, which must then “balance” the loving side. Should we therefore not preach judgment sections, or rebuke sections? Of course we should, but perhaps we’d be closer to God’s heart if we were to preach through tears rather than clenched teeth? When we stand to preach from God’s Word, whether we like it or not, whether we know we’re inadequate or not, we are representing God – a personal God, a God who has revealed Himself, His heart, His values. We represent Him. 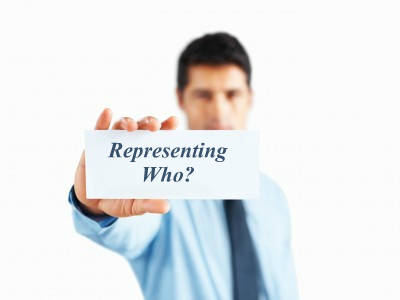 Do we represent Him accurately? I’ve really appreciated this blog post! Just yesterday, I’ve found a blog where I’ve seen a picture of a pulpit where there was written: “Sir, we wish to see Jesus.”. Seeing Jesus, the revelation of God, is what our listeners desire most. And even if they may not desire that, we know that it is their greatest need! Absolutely, if only they can get a glimpse! Peter, I really felt your line, ” we’d be closer to God’s heart if we were to preach through tears rather than clenched teeth?” Ouch! It reminded me of the hearts of the prophets of the Old Testament, like Daniel, confessing his sins along side the sins of the people and pleading for them before God.